The crabapple (or “winter banana,” as apples were called in colonial times) is the only apple native to North America. Apples are members of the rose family, and most apples are still hand-picked. It takes about two pounds of those hand-picked apples to make one nine-inch apple pie. Visit urbanext.illinois.edu for more fun facts about apples. For an easy way to make your house smell deliciously fall-like, try making homemade applesauce. 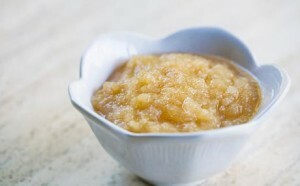 We just use apples, sugar, and water in our applesauce. It can sit on the stove for a couple of hours, or in a crock-pot all day (and it’s delicious warm!). What’s your favorite apple craft or recipe? 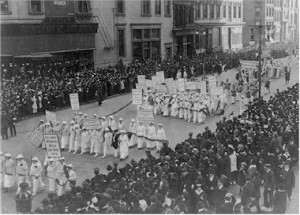 On October 23, 1915, twenty-five thousand women marched in New York City demanding the right to vote. Women came from every state and 24 countries to attend this event. Let’s thank God that now, 94 years later, we don’t have to fight for our voices to be heard, and let’s strive to use that privilege to glorify Him. What privilege are you the most thankful to have? Leaves have just as much yellow pigment in July when they are green as they do in October when they are yellow. In July the darker green pigment just masks the yellow color, making the leaves appear greener. For more facts about leaves, visit ncnatural.com. What fun activities have you done with leaves? Fun Fact Friday: Popcorn Popping October! October is National Popcorn Popping month! Air popped popcorn only has 31 calories per cup and is a member of the grass family. 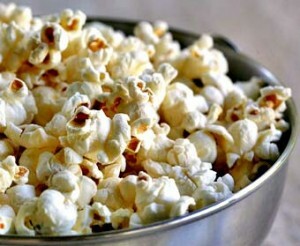 Most U.S. popcorn is grown in the Midwest, including kernels that can pop up to three feet high! Go here to read more fun facts about popcorn. Activities about popcorn, including coloring sheets and worksheets, can be found here. If you’d like to try to make popcorn (other than the store-bought, microwave type), browse some of these recipes. I personally love traditional popcorn balls and old fashioned popcorn! What’s your favorite way to make popcorn? Fun Fact Friday: Free museum entry across the nation! Tomorrow (September 26) is National Museum Day! Visit smithsonianmag.com for details, and check out their venue page to find a participating location near you. Many museums participate in this day, even without a pass, and will allow guests to visit for free, so check online or call your local museum for details. I checked our area, and our local museum not only offers free entry on National Museum Day, but they also have special events and activities – all free – going on throughout the afternoon! This would be a great free family activity in most areas of the country! If you could visit any museum in the world, which would it be and why? September 18 is National Play-Doh Day! Play-Doh started out at one color (off-white) in a 1.5-pound can. By 1983, there were eight colors, and in 2006, Play-Doh’s 50th anniversary was celebrated with 50 different colors of Play-Doh! If your play-doh starts to dry out, there’s hope in reviving it! Just wrap it in a damp paper towel and return it to its container overnight. Or, you can knead water, one drop at a time, into the play-doh until it returns to its original state. For more fun facts about Play-Doh, visit hasbro.com/playdoh. Go here to browse play-doh recipes you can make at home. You can also look through this page for ideas on making your own play-doh creations (I love the cupcake!). What’s your favorite thing about play-doh? Fun Fact Friday: School’s In! 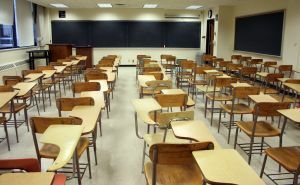 The first public school was founded in Boston, Massachusetts, in April 1635 and all students were required to take three to four years of Latin! Public schools, however, didn’t become mainstream education until the mid 1800s. Most people received their instruction, including college instruction, at home until that time. For more information, visit infoplease.com, wikipedia.org, or answers.yahoo.com. Go here for free Bible-based printable school worksheets. 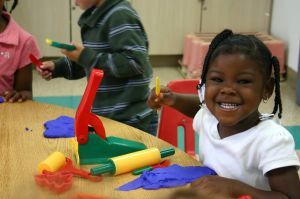 What is your favorite back-to-school activity or tradition? Fun Fact Friday: Labor Day… Tuesday? 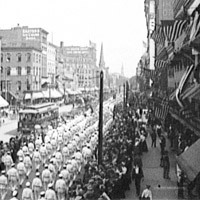 The very first Labor Day was held on Tuesday, September 5, 1882, in New York City and was complete with a parade, picnic, concert, and several speeches. 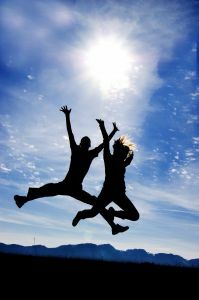 Labor Day was moved to a Monday shortly after this, and became a national holiday in 1894. Visit americaslibrary.gov for more details. Craft idea: Ask your children what they want to be when they grow up, then google for “(insert occupation name here) coloring sheet” and print it for them to color, or simply allow them to draw their desired occupation. Tell them what you wanted to be when you grew up, and talk about different jobs people do to provide for their families. Make sure to hang up their art when they’re finished! 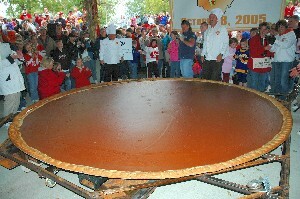 How does your family celebrate Labor Day? Fun Fact Friday, Coming Soon! Welcome to Fun Fact Friday! Lisa had the idea to post a random, fun fact every Friday, and I gladly took her idea and ran with it! We’d love for you to join us each Friday as we share a fun fact you can share with your friends and kids. Many weeks will also have a craft or activity idea to go with the fact, and almost every week will include a link to a full article about the fact so you can learn more if you’re interested. We hope that you don’t just read the posts, though. We’re going to include a question at the end of each fact, and we’d love for you be involved in our Fun Fact Fridays by leaving a comment or linking to a post you’ve written that answers the question. Hopefully we’ll all learn several interesting facts, and gather many activity ideas to share with our families. Check back soon for our first ever Fun Fact Friday!